Where do I use my Protect Your Bubble voucher code? If there are any other gadgets in your household to insure, it is worth taking a bundle out to protect them all on the one policy to save money. Your ‘bubble’ is your personal space around you that’s full of the things you love! Whether that's the latest technology, your pet, your bike, your jewellery or even your holidays. If it matters to you then it's important to make sure that it's protected! At Protect Your Bubble, they make this easy for you. They offer insurance policies for all that's important in your life including gadget insurance, for homes and businesses, pet insurance, travel insurance and bike insurance. They offer great value too and even better value for students, who are offered a generous discount. Occasionally, Protect Your Bubble will release a Promo Code that will save you money on your insurance policy e.g. "10% off S7 Samsung Phone Insurance Policies " "Up to 35% off when you Insure Multiple Gadgets" or "5% off Gadget Insurance" or sometimes offering free gifts such as "Get a free Case when you insure your Apple or Samsung Phone ". Check here at Netvouchercodes to find all the latest codes and money saving deals on offer from Protect Your Bubble and save money on your insurance policy. At Protect Your Bubble, you will find a variety of travel insurance policies. There are four levels of cover from which to choose to protect you on your travels in the UK, Europe and worldwide, for a single trip or an annual policy. There are discounted rates for couples and families and cover is available for people up to 65 years of age. All of their policies cover you for emergency medical treatment and repatriation up to a value of £10 million. If you need to cancel your trip, you'll be covered between £1,500 and £10,000 depending on the cover level that you have chosen. Get a quote today by inputting a few simple details to their website. These days, most of us couldn't live without our Mobile phones, so it makes sense to take out a Protect Your Bubble insurance policy to protect them, just in case you accidentally drop it, dunk it in water or it is stolen. 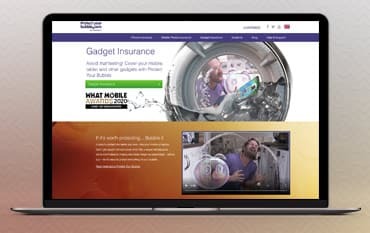 Protect Your bubble offer policies that will provide unlimited repairs for things like cracked screens, broken buttons and headphone jacks, mechanical breakdowns, liquid damage and theft. For a small extra charge, your phone can also be covered for loss. Your phone has to be less than 12 months old, and have been bought as new directly from a manufacturer, network provider or retail store to insure it. How old can the gadgets I want to insure be? The maximum age for your first and secind gadgets is 6 months, after that for third items and any additional they must be under 36 months old. Will my device be covered while I am away on holiday? Worldwide cover is included on each policy, so you will be covered while you are away on holiday. Any replacements are only able to be sent to UK addresses. How many times will I be able to claim on my policy? Protect Your Bubble offers a wide selection of policies covering all of your personal gadgets! Find insurance packages for phones tablets, laptops, vehicles, home and so much more. Having an Insurance policy will not only cover you in case the unexpected happens but also provide peace of mind for when accidents happen - which sometimes, they inevitably do! Uncover great online quotes in a matter of minutes and find the policy to suit your budget. Grab discount off your monthly payment with the added bonus of a Protect Your Bubble Voucher Code which you find featured right here on our site. Having insurance will truly save your for a lot of worries so why not grab a bargain whilst you're here?